SW The Spa is the area’s premier full service Day Spa and Skin Care Center, located at 23 Fremont Street in historic Downtown Gloversville, NY. Our skilled estheticians, massage therapists, nail technicians, and hair stylist, led by owner and skin care specialist, Sherry Wieszchowski, L.E. offer the best in the area for your spa and beauty needs. Our esthetic services include facials for de-stressing or for treating problem skin (such as acne, rosacea or aging skin), microdermabrasion & microdermaplaning, enzyme treatments, chemical peels, body treatments, microcurrent face & body sculpting and full body waxing services. We also remove skin tags, fibromas, and cherry angiomas and offer air brush tanning. In addition, our make-up artists can bring out your true beauty at any wedding, prom or special event with either air brush make-up or Sherry’s signature line of high definition cosmetics. Our massage therapists are trained in a variety of massage, which include Swedish, deep tissue, pregnancy & more. They are well experienced with sports massage and have even performed massage services on professional athletes including many of the NY Giants during their training camp in Albany. 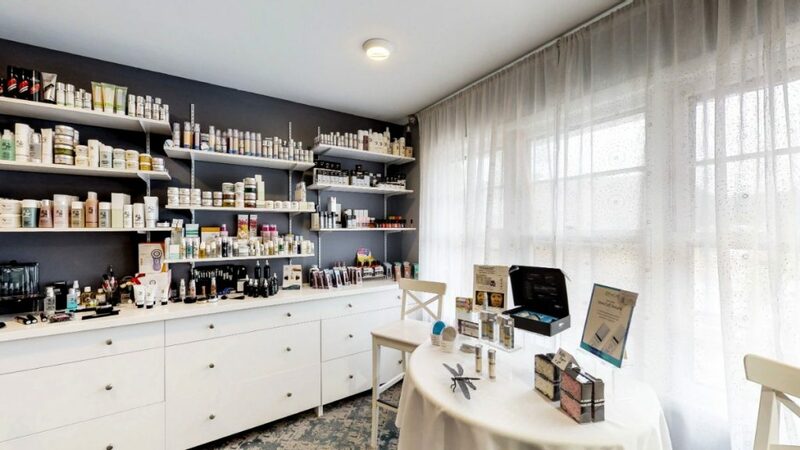 We also offer products for purchase, from professional grade (cosmeceutical) skin care products and high definition make-up, to the very best in tea, supplements and beauty products. Stop in and we are confident we’ll become one of your favorite places to visit.